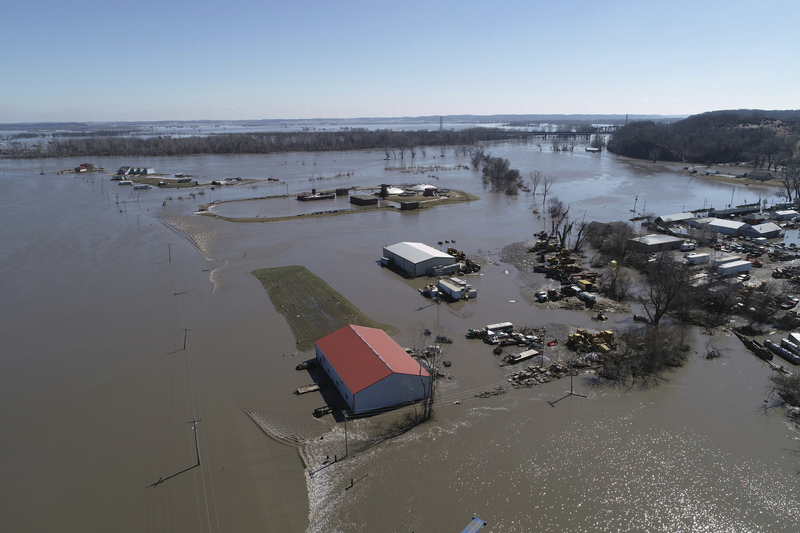 This Wednesday, March 20, 2019 aerial photo shows flooding near the Platte River in in Plattsmouth, Neb., south of Omaha. The National Weather Service is warning that flooding in parts of South Dakota and northern Iowa could soon reach historic levels. A Weather Service hydrologist says "major and perhaps historic" flooding is possible later this month at some spots on the Big Sioux and James rivers. 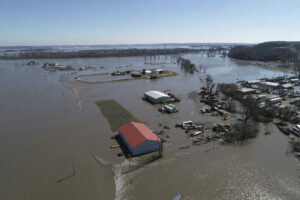 The worst of the flooding so far has been in Nebraska, southwestern Iowa and northwestern Missouri.